Our Irish Semi Dress Sporran is made in Scotland by the World’s #1 Sporran Maker. 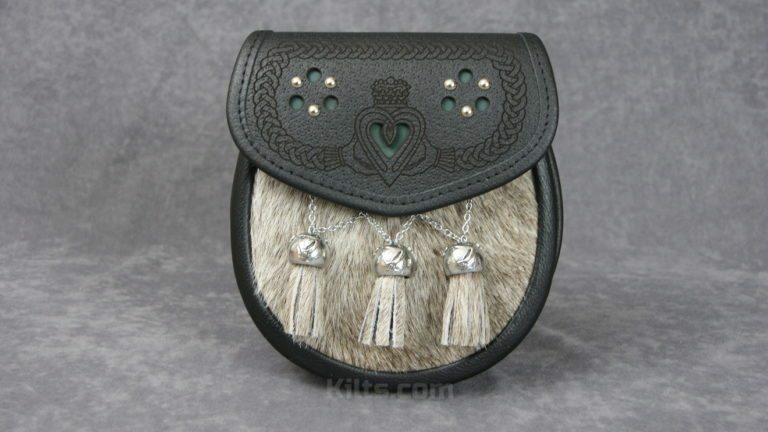 The flap features embossed knotwork with six studs. 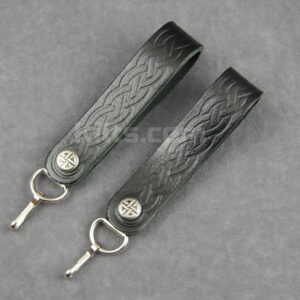 We have also made little cutaways in the sporran to reveal the green leather underneath the main black leather. 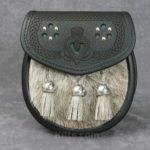 The front of the sporran uses bovine fur in a cross chained design. 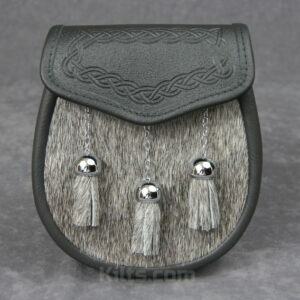 You may notice that the bells on the Irish Semi Dress Sporran are made of our finest pewter. 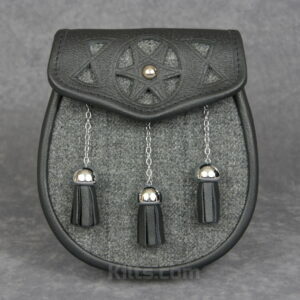 Each little bell has three little intricately detailed harp designs on each. 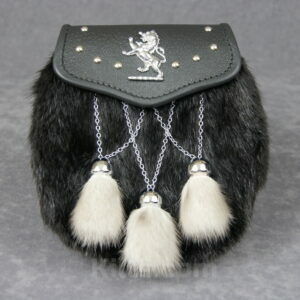 The interior of the sporran has a pocket for storing your possessions while you wear the kilt. A sporran chain also comes with this sporran, which can be adjusted to fit men of all sizes. – Product Dimensions of 8″ high X 7″ wide X 2.75″ deep.